Tech, health, and fashion news. 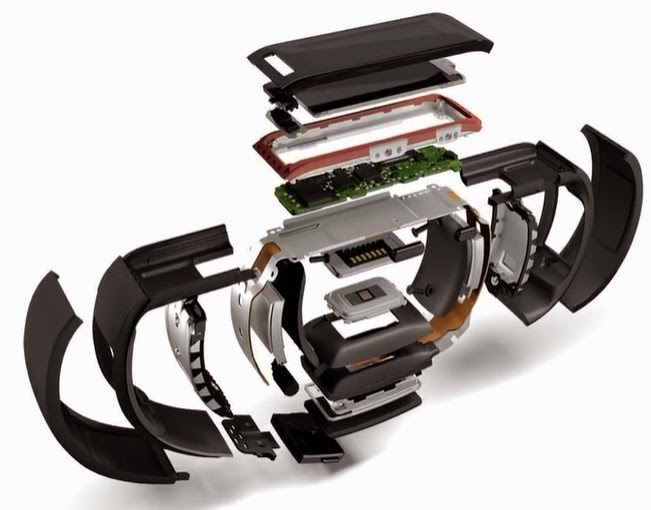 Microsoft Band has stepped into the wearable technology market and is the first device powered by Microsoft Health. This stylish new piece of wearable tech helps you achieve your wellness goals by tracking your heart rate, steps, calorie burn, and sleep quality. In addition to health relevant benefits, the device also helps members of the apparel industry be more productive with email previews and calendar alerts directly on your wrist. This nifty little wearable tech alerts the wearer to incoming calls, texts, social updates, weather, finance, and much more. No more reaching into your pocket or handbag to dig around for your mobile device. You can now see notification all on your wrist, discreetly and without needing to pull out your phone. In regard to helping fashionistas meet their fitness goals, you may want to learn more about Microsoft Health. In summary, Microsoft Health is a new service that helps you live healthier by providing actionable insights based on data gathered from the fitness devices and apps that you use every day. It's designed to work for you, no matter what phone you have, device you wear, or services you use. 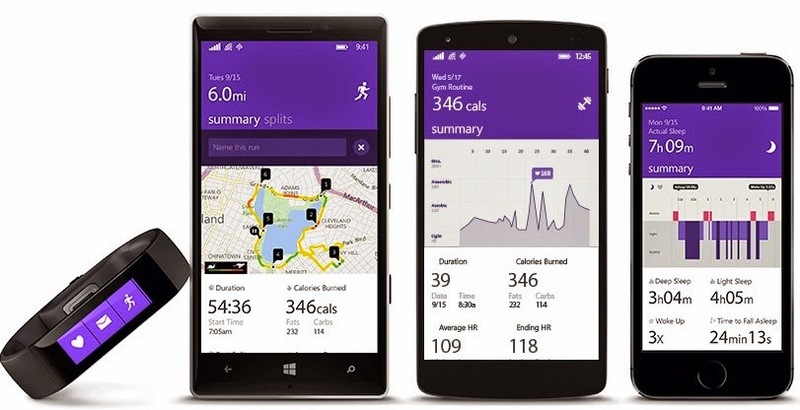 Microsoft Health makes tracking personal fitness easier, more insightful, and more holistic. Microsoft Band makes it easier to reach your fitness goals. You can track your daily physical activity and review your stats with a glance at your wrist. Just like a personal trainer, Microsoft Band guides you to improved wellness by constantly learning about you and your current fitness level. Microsoft invested in cutting-edge technology like built-in GPS and 24-hour heart rate monitoring to help you reach your fitness goals. By combining the power of each of their sensors, Microsoft Band is able to give you real-time insights into your performance today as well as your milestones into the future. Heart rate monitor: 24-hour heart rate monitor: Gives you a better understanding of your calorie burn, sleep patterns, and peak and resting heart rate so you can perform at your best. Steps tracker: Set a goal and track your progress. Microsoft Band calculates the calories you’ve burned and the distance you’ve traveled each day. UV monitor: Get a quick read of the UV Index while you’re out and about. Keep in mind that the sun provides benefits, but be careful to not get too much UV. The beauty of this wearable technology is that it has been developed to work with the phone you already own. Do you own an iPhone, Android, or Windows Phone? 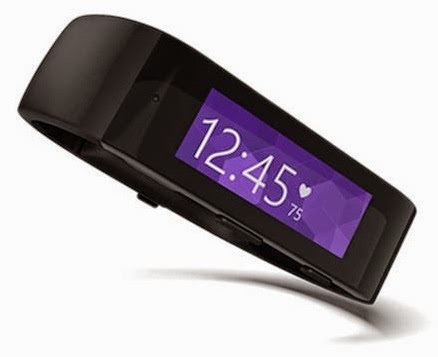 Microsoft Band is designed to be awesome on multiple platforms. Well, currently it works with Windows Phone 8.1 update, iOS 7.1, 8 and Android 4.3-4.4 phones, with Bluetooth. Note that instant quick response does not currently work with iPhone. The fashion industry can use the Microsoft Band right on our wrist so we know what we have to do and where we have to be even on the go. 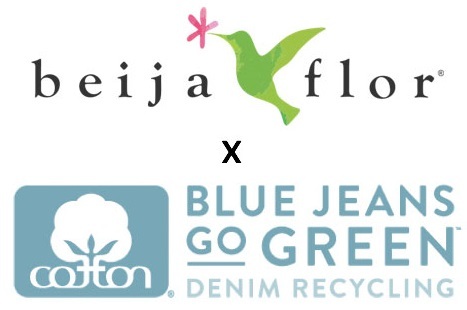 It probably will help us navigate the busy schedule of fashion week. And with help from Cortana, our productivity will soar. If you don’t currently use Microsoft phones, Cortana is your personal assistant on the Windows Phone. Similar concept as Siri on the iPhone. She's there to help make things easier for you and keep you up to date on the things that matter to you. Apparel Search Tip: don't wear your band swimming and put a scratch protector on the glass.